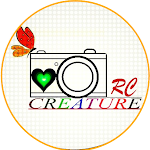 Are you looking for a best camera phone which has dual camera at back ? If your answer is YES, then you don't worry. You have not to google or search any where for this. 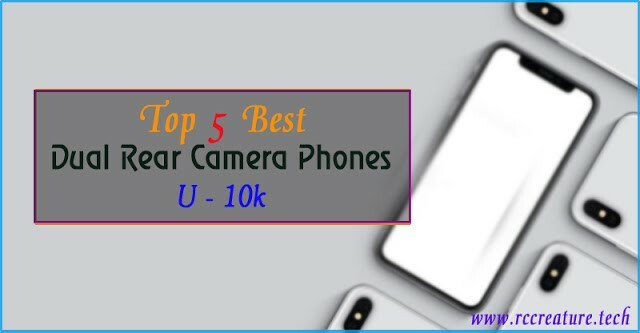 In this article I will share the top 5 best dual rear camera smartphone list which are belongs to the budget category. You can buy these smartphones only under 10K INR. As all we know that a good camera is the biggest selling point of a mobile phone. In this 4G era, the mobile manufacturers are competent in making smartphones which have a fastest processor, massive battery back up and with a incredible camera. In a flagship smartphone, we can easily see a flagship camera , it may be a single or may be dual camera. But, it is very hard to get a great camera performance phone in budget category. So, in this article, I have shared a list . Scroll down this page , you can know which is best or not ! Recently, this smartphone was launched in India. This smartphone comes with 5.99" display which is a HD+ display with 18:9 aspect ratio. It works with Qualcomm Snapdragon 425 . The android processor comes with Android Oreo (8.0). It powers with a massive battery i.e, 4000mAh which can give you a full day backup. And the highlight is that it comes with dual camera of 13+2 MP at rear and a 5MP in front. 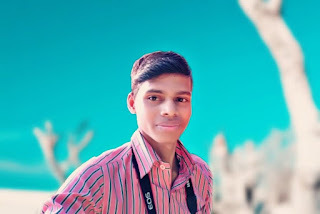 You can click portrait shots as well as HDR, Panorama and many more . This smartphone's price starts with Rs,7,999 at where you can get a 3GB RAM with 32GB as internal storage. This smartphone also comes with a massive 4000mAh battery. But it still runs in Android Nougat(7.1.2). It has a 5.5" FHD display at 16:9 aspect ratio. The processor is Snapdragon 626 which can give you a smooth experience. The phone comes with a 16 MegaPixel single camera at front . And in back, you get a 13+13 MP dual rear camera. It also able to click bokeh shot as well as HDR, Panorama, landscape etc . This smartphone comes with a price tag of Rs,7,699 at where you will get 3GB RAM with 32GB internal storage. Though, it has not 18:9 display, yet it is a better phone in camera performance. In this year, Honor was launched two budget category smartphones from which Honor 7C is the best smartphone for its awesome feature and camera performance. This smartphone comes with 13+2 MP dual camera at rear which allows you o shoot a better bokeh shot . And also you can get a 8MP single camera for selfie shooter. The smartphone runs with Android Oreo with Qualcomm Snapdragon 450. Its display comes with 5.99" HD+ and a 18:9 aspect ratio. It packs with a 3000mAh battery which can give you a full day backup. The price starts with Rs, 9,999 . In this price segment, you will get 3GB RAM and 32GB internal storage. And also you can get Face Unlock feature and a fringerprint scanner at back which can give you a better security. This smartphone has a 5.5" , 16:9 aspect ratio display whose resolution is Full HD. This smatphone packs witha large battery of 4000mAh. It is attached with a 13+5 MP dual camera at back and in front, you can see a 13MP camera for awesome selfie shot. The processor comes with Helio X23 decacore and runs with Android Oreo. It's price starts with Rs,9,999 at where you will get 3Gb RAM and 32GB inetrnal memory. And also you can expand your external mamory by SD card. Though it is not capable of clicking portrait shot, but yet its camera performance is amazing. By which you can take decent photos. As we all know, Xiaomi is the India's No 1 company till now. This company recently fulfills their 4 years in India. Earlier of 2018, this company had launched Redmi Y2 which focuses on selfie as well as great bokeh click. In this smartphone, you can get a 5.99" HD+ display which aspect ratio is 18:9. It comes with 12+5 MP dual camera at rear with integration of Artificial Intelligience (AI). For selfie shoot, you will get a 16 MP at front . You will also find the AI features at front camera. The big surprise is that its price starts with just Rs,9,999 at where you can get 3GB RAM with 32GB internal storage. This smartphone works with Qualcomm Snapdragon 625 which is a powerful chipset in budget category. And also this smartphone runs with Android Oreo out of the box with a 3080 mAh battery which can power you a full day easily. So friends, I just have shared my experience. I have used many smartphones and also used these smartphones. I hope you like this list and you can now able to select which is best budget dual rear camera smartphone. If you have any queries or any questions in your mind, then put a comment in the below comment box. Thank You !